I am a small business that specializes in custom garden design and garden consultation as well as educational speaking on a variety of garden topics. I have served Northwest Arkansas with landscape designing services since 2004. I enjoy helping homeowners see their dream landscapes come to life. Residential projects have been a large part of my experience, but I have also created Commercial, Corporate, and Public Garden spaces in the Siloam Springs area. "My goal is to educate, inspire, equip, and encourage people when it comes to gardening and nature." Owner, Colby Edwards, has been designing Swimming Pools for Pool builders throughout United States for over 10 years! Prior to design, he was involved in residential home building and construction for over 8 years. From 2006-2014, Colby worked for a Pool Builder in Austin, Texas as their designer and construction manager. Colby has had several years of working on many different projects.. Placid Scene Pool Design has been a side project for 9 years while living in Austin, Texas. In 2014, The Edwards family moved to Arkansas and decided to pursue design full time. Colby has designed well over a thousand pools! Several of the pools that he has worked on have won regional and national awards with APSP. Colby goes above expectations and has many great relationships with pool builders. His attention to detail always shows. Since 2001, the foundation of our work has been the design of private residential landscapes. The scope of our effort includes planting design, but encompasses much more. We masterplan, address grading & drainage issues, design driveways walkways, pools, fountains, porches, fences, decks, walls, & even landscape lighting. We help you with anything from the wall of the building to the lot lines, but the real benefit comes from the combination & integration of all of these elements. 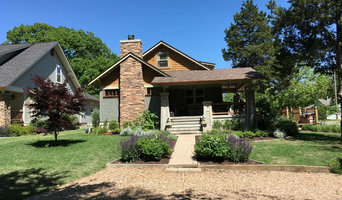 Township Design is a landscape design firm located in Fayetteville, Arkansas offering residential design services. We feel that every successful project begins with the design process, this allows for well-thought out solutions, accurate pricing and clear expectations during the construction phase. We are involved through all aspects of the construction phase, from permitting all the way through final punch list. Over 10 years of industry experience we strive for quality and a high-level of execution on all projects of different sizes and complexity. Our Motto: "Live Outside the Box" Our Mission: To enrich the lives of ourselves and others by creating elegant and inviting environments for entertainment, escape, and enjoyment. Our Guiding Principles: Beauty, Quality, Creativity, and Trust. We strive for beauty in all of our work. We value quality design and quality craftsmanship. Our best work results from creativity. We rely on our clients' trust that we will use our creativity and expertise to achieve beautiful, high-quality results. Our Product: An improved lifestyle. Although we sell various items, both tangible and intangible (expertise, labor, furnishings, plants, etc) DK Design's true product is the value these things add to our clients' lives. A DK Design outdoor living space is not just a collection of furniture; it is an intimate location for reading the paper, dining with family, or enjoying an evening cocktail. Likewise a DK Design fine garden is not simply a landscaped yard, but rather a unique destination, the reason for a relaxing stroll or the venue for an alfresco party. DK Design provides residential and commercial clients alike with designs for fine gardens and outdoor living spaces. As our motto suggests, we not only encourage clients to enjoy living in the spaces outside their homes and offices but also to make those spaces personal, unique and extraordinary. Combining an appreciation for both classic design principles and clean, contemporary lines, DK Design creates gardens and outdoor rooms that are marked by characteristics of simplicity, formality and definition. In an effort to blur the lines between indoors and out, DK Design merges functionality and beauty by designing exterior spaces that match their interior counterparts in terms of quality, comfort and style. Whether modern or traditional, understated or opulent, the goal of DK Design is to create sophisticated and inviting outdoor spaces for entertainment, escape and enjoyment. Exterior designer Daniel Keeley is founder and principal of DK Design and has been designing outdoor spaces for 20 years. His work has won numerous awards and accolades and is featured regularly in various publications. Daniel also lends his passion and expertise as a regular writer and blogger for several additional publications, including Northwest Arkansas CitiScapes, Arkansas Gardener and At Home in Arkansas. 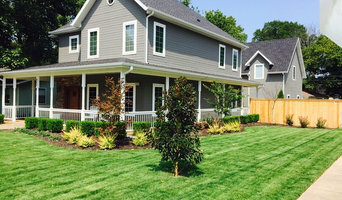 Colonial Hills Landscaping is a landscape design and installation firm specializing in meeting the outdoor design and garden needs of clients in Northwest Arkansas for over 15 years. 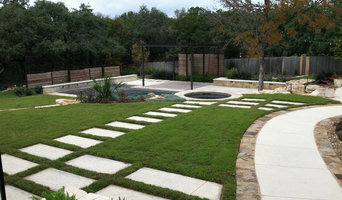 We are a full-service landscape company located in Fayetteville, AR. Led by Terry Delany, B.S. Landscape Design and Urban Horticulture. Landscape design, Design/Build, Living walls, French drains, Irrigation installation/repair, Lighting, Arbors and Pergolas, Water features, Maintenance and mulch, mulch more! Exterior Design & Services, Inc. has been creating outdoor lifestyles for the Northwest Arkansas and Little Rock areas since 2000. With a focus on custom residential design, project management, and personal on-site supervision, we have helped homeowners across the region realize their visions for outdoor living. Licensed with the state of Arkansas, Exterior Design offers an array of services from planning, construction, and maintenance of all your outdoor projects. Many local companies can install a landscape that looks good when it is installed. Like a fine wine or a great friendship, a successful landscape should get better every day. This doesn’t happen by accident. It happens with careful planning and the real world experience we offer here at Michaels Lawn & Landscape in Springdale, Arkansas. K.C. Landscape is a full service landscape company, committed to providing NorthWest Arkansas with the best in landscape design and service. For 22 yrs we have been dedicated to making sure each project we design meets or exceeds our clients expectations. From custom landscape to decks and irrigation systems, we deliver the highest quality, on time every time. Jodie VanDerwall is a certified Master Naturalist for the Northwest Arkansas Chapter. She worked as the Head Gardener for the city of Eureka Springs before starting her own company, VanDerwall Elite. Known locally as the plant whisperer, she has a vast knowledge of the land and plants and the talents of a true landscape artist. Jodie has been building relationships and loyalty with residential and commercial clients for 25 years. GreenWorks has highly experienced and skilled designers and a dedicated support staff that work together as a team throughout the year. They are a credit to our success and our reputation for quality work and services. Let us help you turn the house you own into the home you love, by creating outdoor living spaces, and landscaping that is an extension of your indoor space. We are committed to helping you create the backyard of your dreams. The work of this outdoor professional includes most everything surrounding a home's exterior. A landscaping architect can even work with the home architect to choose the right spot for your Lincoln, AR house. From there the Lincoln landscaper will develop preliminary concepts for your front or backyard design based on individual needs including the climate and activities that will take place, as well as layouts and planting plans. Landscape architects will also design any structures or outbuildings that will be added to the space. Any grading changes that will be added to the yard are also the responsibility of the architect. This includes any drainage modifications. An engineer can also be responsible for these tasks, but licensed Arkansas landscapers are fully capable. Like building architects, they will produce preliminary concept drawings as well as detailed construction documents and planting plans. Three-dimensional renderings and illustrative plans are all supplementary. A Lincoln landscaping designer generally will have ecological, aesthetic and technical training, which helps them maximize the potential of your outdoor space. Keeping in mind both style and functionality, garden designers analyze your architecture and yard to produce a plan that may or may not include location and materials for walkways, patios, water features, fences, garden aspects and more. In addition, a landscaper in Lincoln, AR will carefully assess your geographic region to choose plants, trees and flowers that will flourish naturally, as well as address concerns such as drainage, screening and soil conditions. Certain landscape designers only help with the planning portion, while some may deliver the plans and then oversee a hired landscaping contractor. Others — typically following a design-build approach — take care of both the design and all aspects of the landscape architecture and construction. Before you hire an Arkansas professional landscaper, consider the scope and emphasis of your outdoor project. Landscape architects, who typically hold advanced degrees in their field, are trained to develop comprehensive structural plans that include plants, hardscaping, water use, drainage and more. Landscape designers typically specialize in the aesthetic and horticultural, rather than structural, side of yard and garden planning. They might or might not have advanced training. Even within their fields, a garden designer may specialize in hardscape- or vegetation-focused designs. In some cases you might need to hire additional help to get the outdoor space you want. Here are some related professionals and vendors to complement the work of landscape designers: . Find a Lincoln landscape architect on Houzz. 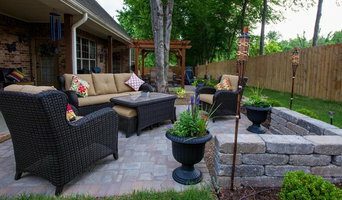 Narrow your search in the Professionals section of the website to Lincoln, AR landscape architects and designers. You can also look through Lincoln, AR photos to find a space you like, then contact the professional who posted the photo.